Today's Marriage Minute was inspired by a devotion Dustin and I shared earlier this week, titled "A Soul Filled with God." It began with Psalm 27:4, which says "One thing I ask of the Lord, this is what I seek: that I may dwell in the house of the Lord all the days of my life, to gaze upon the beauty of the Lord and to seek Him in His temple." The devotion began with this sentence: "Personal worship is an absolute necessity for a strong marriage. It comes down to this: If I stop receiving from God, I start demanding from others. Instead of appreciating and loving and serving others, I become disappointed in them." Have you ever experienced disappointment in your marriage? I know Dustin and I have gone through bouts of it from time to time, especially since Olivia was born. Because we had to care for, consider and think about another human being who was dependent on us for everything, it became harder to put ourselves as husband and wife first instead of just functioning in our role as parents. Throughout the course of our entire relationship, we've both experienced disappointment -- disappointment when our expectations of one another were not fulfilled, disappointment that plans we had together didn't go as we hoped, disappointment in something my husband did or said that hurt me or something that I did or said that hurt him. Because of the disappointment we were experiencing, Dustin and I would take our frustrations out on one another and blame each other for our lack of fulfillment. Why? Because we weren't devoting the time to God we needed to be. When our hearts get filled by God's love and acceptance, we are set free to love instead of worrying about being loved. WE ARE SET FREE TO LOVE INSTEAD OF WORRYING ABOUT BEING LOVED. We become motivated to serve instead of becoming obsessed about whether we are being served. 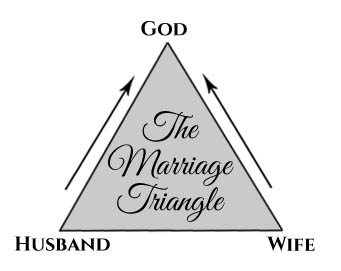 The triangle illustration above is one I encountered multiple times throughout college in various classes and again over the past two years of marriage. It is such a simple concept but makes a profound world of difference in a marriage. It shows that as we -- each individual as husband or wife -- strive to grow closer to God, to worship God and to seek God, we are naturally growing closer to one another. It's the best win-win situation there could be! It is important to focus upon God, gaze upon Him and dwell with Him all the days of our life, placing our hopes and finding our fulfillment in Him. Whenever we place our happiness in the hands of another human being, we are virtually guaranteeing some degree of disappointment. That's why worship sets us free -- it meets our most basic need -- to rest in the fact that I am known and loved, that I have a purpose and that my eternal destiny and delight are secure. It's simply not fair to ask your spouse to fulfill you. No one can. If you expect your spouse to be God for you, your spouse will fail -- every day and on every account. But if you ask God to fulfill you -- and you draw near to him through worship, you will find that God is the only One that can love you with a perfect, constantly steady and giving love. When the "one thing" we seek is to dwell in God's house, to gaze upon His beauty and to seek Him in His temple, our soul's sense of desperate need is met in our heavenly Father's arms. Because that deep need is met, we find tremendous joy in giving, in loving, and in serving rather than in keeping close accounts as to whether we're being loved or being served. The best thing you can do for your marriage is to fill your soul with God. Start defining disappointment with your spouse as spiritual hunger, a cosmic call to worship. Marriage is wonderful, but still limited -- it can't replace God so we shouldn't ask it to. I am learning that as I seek God and as I am fulfilled by Him, I desire to give to, serve and love my husband on an entirely different level. He experiences the same desire when he puts God first. And then what happens? Well, Dustin finds so many ways -- big and small - to bless me and to remind me how much he cherishes me, like bringing home a dozen roses for no reason at all. Today I made one of Olivia's favorite snacks for her -- roasted cauliflower. It is so simple and so tasty! Bonus? Cauliflower is packed with nutrients. It is low in fat and carbs but high in dietary fiber, folate, water and vitamin C.
a high quality olive oil & S+P. Chop head of cauliflower into small bite-size florets and place on a baking sheet lined with tin foil or parchment paper. While still warm, puree in a food processor to make baby food. If feeding a toddler, let cool slightly and then cut into appropriate-sized pieces for your child's age. In Week 1 I introduced the series and I shared my personal story as well as what gluten is. Read Week 1 here. Week 2 discussed how gluten affects the body and the symptoms you may be noticing if you have a gluten intolerance. Read Week 2 here. Last week I shared my food philosophies, how I structure my diet and my favorite products. Read Week 3 here. For this final week, I want to provide you with some information on how you can transition to living a gluten free lifestyle, as well as some helpful tips. 1. If you feel too overwhelmed to go completely gluten free, choose one day a week that you will eat gluten free. I suggest swapping out your regular meals for gluten free ones on SATURDAYS or SUNDAYS. The work week can be stressful and packing GF lunches takes a little bit more effort, so start by eating gluten free every Saturday or Sunday. As you feel ready, start turning more days into gluten free days and eventually you will have a higher ratio of GF days than gluten days. As you take time to plan meals and integrate it over time, it should feel less overwhelming and more manageable. 2. Another method is to eat gluten free for one meal every day. Maybe you still eat your regular foods for breakfast and lunch, but you commit to eating GF every night with your family for dinner. Soon you will have a repertoire of healthy and easy dinner recipes and then tackling breakfast and lunch won’t seem so daunting. I do want to say that if you have been advised by a health care professional to cut gluten out of your diet or a child’s diet entirely, then the methods above may not work as well. These methods are intended for those who want to adapt a gluten free lifestyle or who have gluten intolerances but who want to approach it slowly while they learn more about it. Also keep in mind that you may not notice an alleviation of symptoms if you progressively cut it out one day a week or one meal a day; however, for a lot of people, starting with one step and moving forward as you learn and understand more is the key to succeeding. Often times, jumping in full force without knowing enough about it or without the right tools and planning leads to stress and frustration and then sometimes giving up entirely. Whatever method you need to stick with it, go that route! 3. The final method is diving in head first! Maybe you’ve been thinking about going GF for awhile and you feel ready to commit. You’ve talked with your family/spouse about it, you’ve gathered information and you have some ideas of ways to swap out regular foods for gluten free foods. Many people refer to this as “purging” or “going cold turkey.” You get rid of all the gluten in your house/frig/pantry and you commit to only buying gluten free food (free-range, grass fed, organic poultry and meats, free range eggs, fresh or frozen (organic if possible) vegetables/fruits, brown rice, quinoa (gluten free grains with protein, not empty starches) and you use those ingredients to make balanced meals. Bottom line, you know yourself better than I know you. Whichever method you feel led to try, start there. You can always try a different one if the first one flops! Don’t focus so much on buying products labeled GLUTEN FREE. >> To be blunt, I think most gluten free bread is pretty bad. No matter how much I’ve toasted it, buttered it, etc., I didn’t enjoy it. It was too dense and it didn’t satisfy me. But some people love it (my mom loves it with peanut butter). Also, I don’t care for most gluten free pastas. I always try steer clear of any high starch, high carb grain, and I was never satisfied with how gluten free pasta tasted. Again, I have friends and family that LOVE making spaghetti with gluten free noodles. Bottom line: modify your diet to suit your tastes but just because it is GF does not mean you have to buy it or should buy it, keep in mind that you might not like it. >> I focus on SWAPPING rather than REPLACING. Can I SWAP a serving of noodles for a serving of brown rice? Yes. That is much easier (and often healthier if you are eating a small portion) than REPLACING regular noodles with gluten free noodles. >> Refer back to the rule of thirds of how your diet should be structured: 33% complex carbs, 33% protein, 33% healthy fat. Choose one protein per meal and then add veggies or fruits (complex carbs) based on what you’re in the mood for or what is in season, always being sure to get healthy fats in also -- through fish, nuts, avocado, unrefined oils, etc. Add 1/2-1 serving of grain/starch per person. For us, when we have a grain side, we rotate between brown rice and quinoa. I dress it up in different ways and despite eating it on a regular basis, it is always so good and so satisfying that I don’t miss pastas, breads and other items that are loaded with carbs. >> Take your favorite recipes and MAKE THEM WORK FOR YOU! Turn them GLUTEN FREE by modifying the ingredients. Maybe a recipe calls for regular flour, swap it with Cup4Cup GF flour (sold at William’s Sonoma, Trader Joe’s, Costco and other stores). Most of my favorite recipes were not originally gluten free. I found them, wanted to make them, and turned them into gluten free recipes by swapping out a few ingredients and putting my own twist on it. Plus part of the fun of getting in the kitchen and cooking is being creative and trying new things! >> Ask your local health foods store or Whole Foods Market if they have any gluten free mixes other than the traditional boxed ones. The Whole Foods Market near me features different gluten free bakeries every month and they sell their mixes right in the store. I recently discovered some of the most amazing chocolate cake I’ve ever had…and plan to make it for my daughter’s 1st birthday! Whole Foods Market is a great resource, as they cater to a wide variety of specialized diets. Keep in mind that the most basic and the most raw version of a food, the better it is for your body. >> The reason gluten intolerances and celiac diagnoses are spreading like wildfire these days is because the way wheat is produced is dramatically different than it was even one hundred years ago. Our bodies were not made to digest such genetically modified, processed foods. We were designed to eat raw food that came from the earth – before it was processed and packed with countless chemicals. >> Find snacks that you love and that satisfy you. My husband and I love raw nuts and dried fruit. A lot of granola bars contain gluten and they’re not incredibly healthy. We try to eat snacks that contain protein (to satisfy you and fill you up) and fiber. Another great snack is a little turkey and sharp cheddar cheese or a handful of berries or carrots. If you pack snacks and have them handy, you’ll be less likely to reach for prepared products with gluten. If a child has already eaten gluten, it will obviously be slightly harder to take it away, BUT the good news is that most children are still very malleable that you can start offering new foods and cut out gluten and (hopefully!) they won’t even notice. If you’ve gotten through all 4 weeks of this series, I applaud you! Above all else, as you start to modify your own and your family’s eating habits and cut out gluten (and maybe even dairy), I imagine you are going to start feeling much better. Maybe your skin will improve and look healthier, maybe your joints won’t ache, maybe some of your health conditions will subside, or maybe you’ll just feel like you are filled with vim, vigor and vitality on a daily basis in a way you’ve never experienced before! Whatever it is, I would encourage you to try it out and start in small ways with simple steps. Spend an hour sitting down and sorting through your favorite recipes. Are there any that are already gluten free? You might be surprised at how many recipes are naturally gluten free. Others may require getting a little creative. 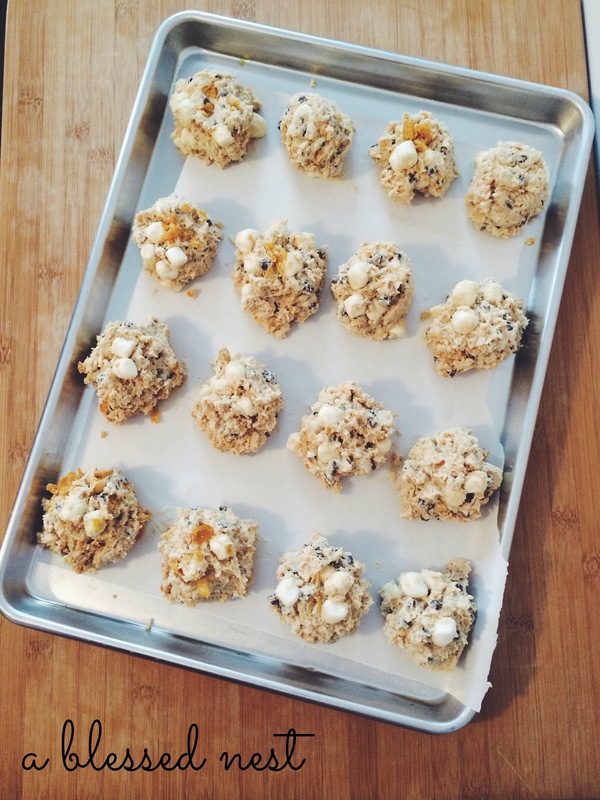 If there is something you love to make, think about how you can swap out ingredients to turn the recipe gluten free. Don’t be afraid to try new recipes. Some may fail, others may become your new favorite dishes! Watch cooking shows that you might not normally watch -- you may find a new favorite! One of my ALL TIME favorite recipes -- skillet almond shortbread -- was from Trisha Yearwood's Cooking Show...first off, at the time I didn't even know she HAD a cooking show and second, I didn't think I would find anything I cared to make. Well, one Saturday morning as I was flipping the channels, I stumbled upon her show and watched as she made almond shortbread. It wasn't naturally GF so I just swapped out all-purpose flour for my Cup4Cup GF flour and it has become one of our favorite go-to recipes, especially for holidays! When you're out to dinner -- ask the hostess for a GF menu -- some of our favorite restaurants cater specifically to GF eaters and I've discovered some of my favorite dishes through asking for a GF selection. Above all, getting connected with others is something that has been such an encouragement to me, where I can see photos of and read opinions on other recipes that I may want to try in the future. Talk with friends and family; share and swap your favorite tried-and-true GF recipes. Try to get connected with online GF groups and start reading some gluten free blogs. It is amazing how many resources are out there once you begin to look a little! Who knows, you may fall in love with living gluten free and wonder why you didn’t start sooner! And feel free to contact me anytime with any and every question -- I certainly am not an expert on the topic but I love getting connected to my readers, especially regarding topics I am so passionate about! 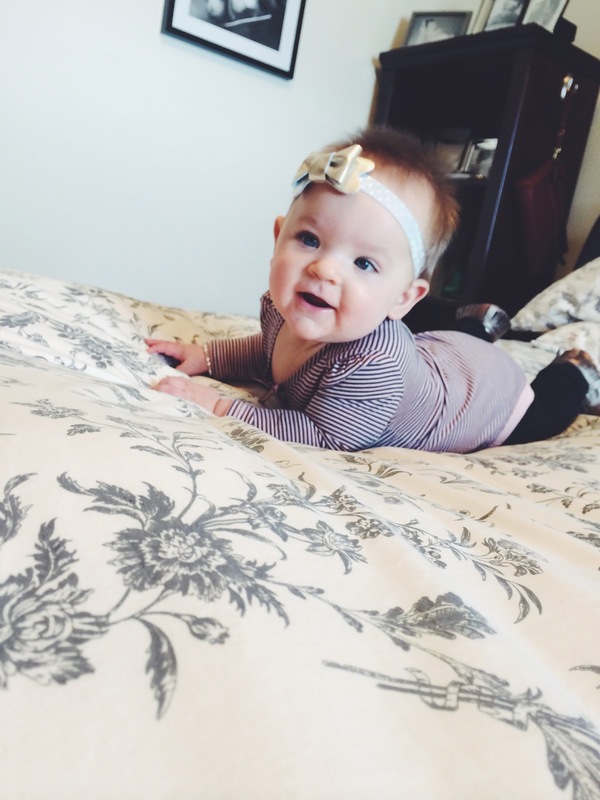 This week's Shop Spotlight is on one of my favorite places to get leather bow headbands for Olivia. I discovered Sadie Sky Boutique when I won a giveaway for a Halloween Headband last October. I loved the headband I had won so much that I began ordering regularly from her shop because the quality was so high and the styles were so lovely. 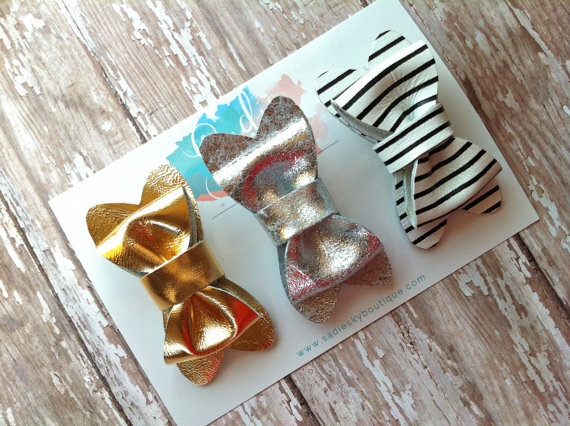 My favorite bows are all of her metallic options -- especially the silver & platinum leather bows. They match all of Olivia's outfits so they make great every-day accessories. Plus, Jess -- the owner and creator of Sadie Sky Boutique -- couldn't be sweeter! 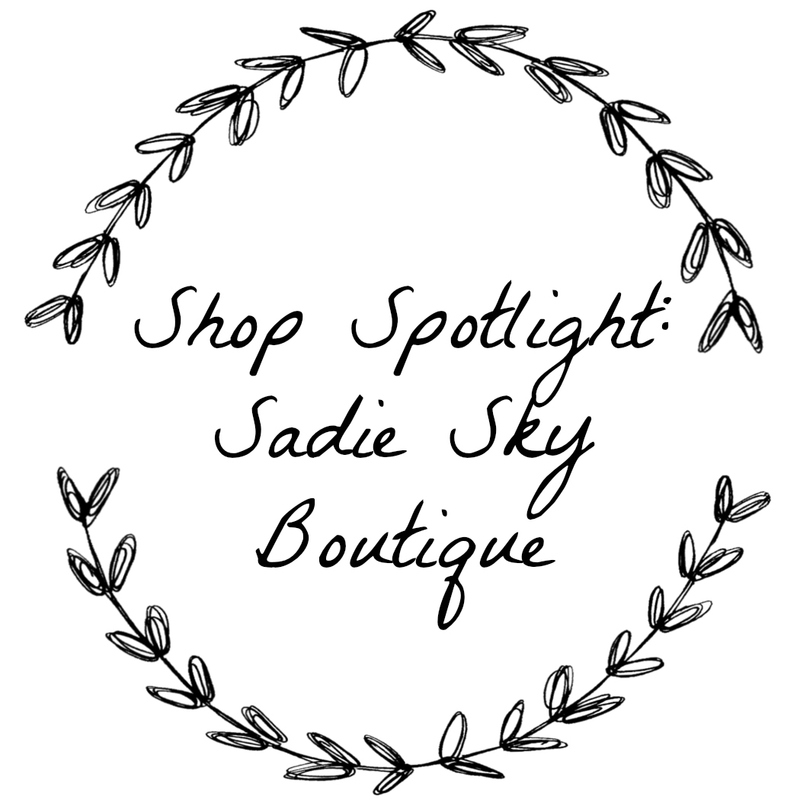 When I knew I had found a wonderful product and an even more wonderful friend, I had to feature Sadie Sky Boutique in my Shop Spotlight series! Sadie Sky Boutique grew out of inspiration from Jess' daughter and her name, which means "Princess from Heaven." 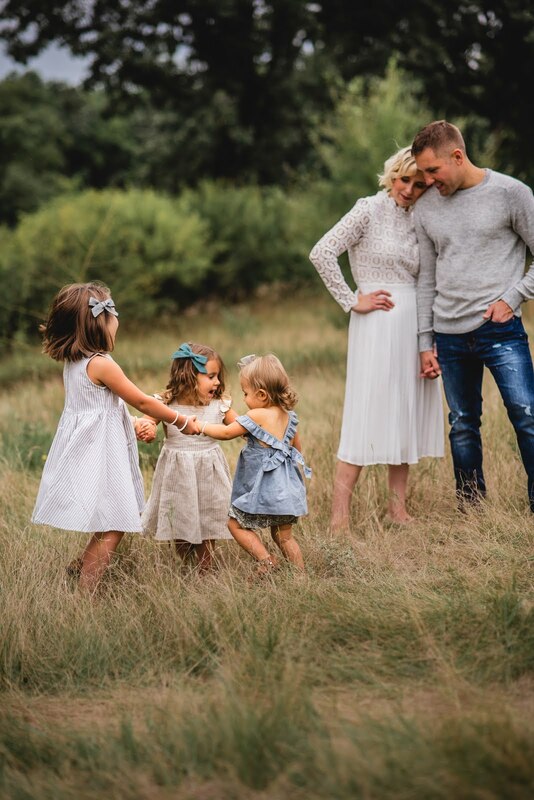 Once Sadie was born, Jess realized her favorite outfits for her included mini versions of things she would wear herself, and so her fun and eclectic style was born! Her favorite looks include a lot of vintage mixed with fun and unexpected touches but she also loves timeless, classic looks too. 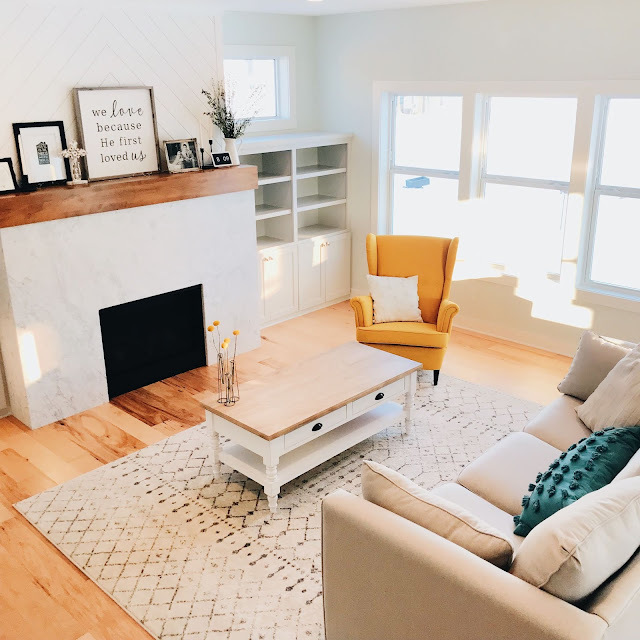 Jess started making accessories for Sadie that suited their style better than what she could find elsewhere, and with encouragement from friends and family, Sadie Sky Boutique was born. In the shop you'll find everything from classic leather bows to knotted headbands featuring fun & vintage prints. She is also branching off into some new items like the mama + mini infinity scarf sets! In talking with Jess about her shop, she said, "Sadie Sky Boutique has not only provided me with an amazing creative outlet where I can do something that I truly enjoy, but has also opened the door to so many amazing relationships with fellow shop owners, bloggers and just my customers in general....and that's most definitely my favorite part of this venture! Within our first year, our designs have been featured by some of the biggest bloggers in the 'biz, we've collaborated with some amazing shops and we also made our first appearance in print...so much more than I could have ever imagined for my little shop and for which I am so blessed! It's my hope that when customers stop by, they not only find unique accessories they love, but also ones that brighten their day each time they're worn." Jess has more than accomplished that with me & Olivia -- Despite having other bows over the past 9 months, I found myself continually going back to SSB leather bows for accessorizing all of V's outfits because they matched everything and were so classy and sophisticated. 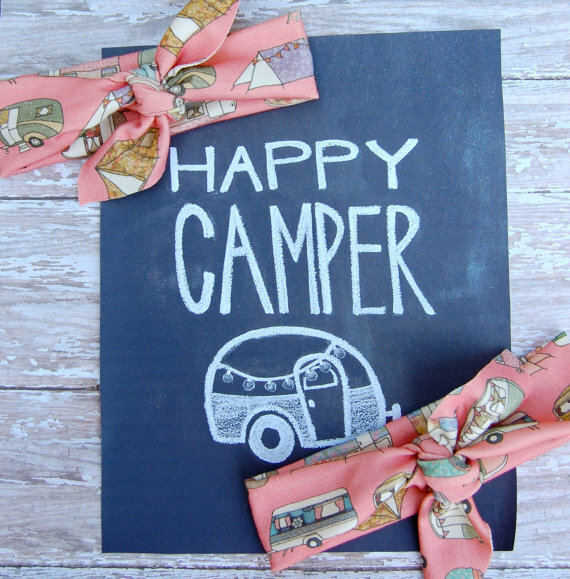 Plus, the knotted headbands she sells have the most adorable prints..like these vintage campers. Definitely a must-have for every little lady! What Immediately Caught My Eye: The quality of the leather and the simplicity of the bows that make them perfect for every-day wear to match any and every outfit! 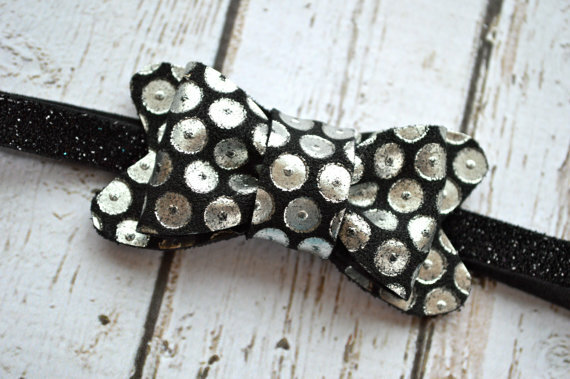 What Sets Sadie Sky Boutique apart: First off, most headband shops I've come across do not sell leather bows; often, bows are made of felt or fabric. The fact that these are made from leather gives them a unique appeal and provides for a variety of hair accessories from what it typically available. Secondly, Jess loves to sell vintage-inspired accessories -- the colors and patterns she chooses are based on her love of all things vintage. Finally, I love that you can customize your headband to suit your tastes and your babe's wardrobe! Jess offers a wide variety of elastics - including polka dot, sparkle and lace! What baby doesn't look adorable in lace? Quality & Craftmanship: Every single leather bow that I have received from SSB uses the highest quality leather and elastic. The way Jess makes the leather bows by hand is just amazing! They are perfect every time and just by feeling the leather, you can tell they are top notch. Durability: Olivia has been wearing her bows for 8+ months on a regular basis and despite the pulling off-chewing on-squeezing (etc.) that babies do, these are still like brand new! Overall Appearance: The leather bows come on a beautiful white card featuring the Sadie Sky Boutique emblem. Beautifully assembled and ready for gift-giving! Value: At an average cost of $9.50 per bow, you are getting great value for your money! Despite the high cost of leather, Jess keeps her prices affordable. One or two bows would make a lovely shower gift at an excellent price point. Recommendation? If you don't already know that I would recommend everything from SSB, then you definitely haven't read this post! I have nothing but wonderful things to say -- both about the products and Jess. She is so accommodating, friendly and kind. The fact that she loves her customers so much is evident in every interaction I've had with her. It has been such a blessing to get to know her on a more personal level and become friends. I will keep going back year after year for her bows -- both for Olivia, future babies & gifts! Jess has so generously agreed to give away one of her leather bow headbands to A Blessed Nest reader! 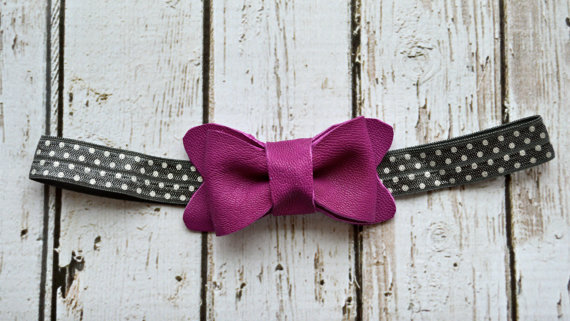 You will be able to choose any leather bow in her shop, plus customize the elastic it comes on! 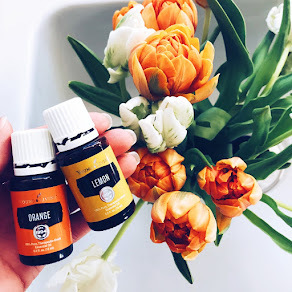 This is a giveaway you don't want to miss! It is super simple to enter. All you have to do is complete the steps below in the Rafflecopter. The giveaway runs from Monday, February 24-Saturday, March 1. The winner will be announced on A Blessed Nest on Sunday, March 2.
a Rafflecopter giveaway If you find yourself loving every single bow she sells (the way I did! ), head on over to Sadie Sky Boutique now and get 20% off your total purchase with the code BLESSEDNEST20. Valid 2/24-3/2. This week's Marriage Minute is written by the most intelligent and handsome man I know, my husband Dustin. He is a true marvel -- a man after God's own heart and my True North, always steady, guiding me, keeping me grounded and going in the right direction. I gave him free reign to share whatever was on his heart, and if you like what you read, let us know by commenting & he will be contributing on a more regular basis in the future. When A Blessed Nest was launched a month ago, my wife Megan asked if I would be interested in contributing to it. She shared with me that she planned to do a series on marriage called the Marriage Minute. Last week when I was at work, the Holy Spirit put so many ideas and thoughts on my heart to share through the MM, so today is my first contribution. The thought that came to me last week in the midst of my normal routine at work was "Love has never not won," so that is the platform off which I am launching this post. What if there was a strategy that never, ever lost? What if there was a way to live that had an eternal ripple effect on you and anyone toward whom you adopted this attitude? What if there was no law against this method, and what if no charge or accusation could ever bring it to trial? What if you fully committed yourself to this strategy? What would happen? Well, you would never lose. You would be undefeatable. Love is that strategy. Love is that choice. Love is that commitment. Think about it: Has anyone, throughout history, broken the law for truly loving someone too much, specifically their husband or wife? The thought is preposterous! In last week’s MM, my wife shared about how love is a choice (click HERE to read more) – love is much more than a feeling; it is an act, and that act – the act of unconditional love – cannot and will not ever be found guilty. Love is untouchable from the law. If there is no law against love, then there is no penalty against it either. The risk is removed. There are no repercussions. Why let anything or anyone stop us from carrying out a plan - a strategy - of love, every day? So what does the Love Strategy look like? Simply asked, does love put up with anything and everything? Definitely. Does love require constant patience and long suffering? Certainly. Does love mean putting someone else’s needs ahead of your own? Yes, all the time. Does love always look for the best, without looking back, and instead keeps moving forward? Always. This strategy can and should stretch outside of a marriage, however, I believe a marriage is where it should start. Think about it, if I'm choosing to meet all of my wife's needs ahead of my own and she's choosing to meet all my needs ahead of her own, it's a win, win. We would both be walking and living in victory and love. Our marriage would become so successful, blessed and empowered with the Love Strategy approach. To be the more empowered person, to be the winner of every moment, to be victorious in every situation, just choose to be the one who always loves. To melt a heart, to start to win and to always win in your marriage, begin to love. Endlessly, passionately, unconditionally...love. Look past the mistakes, sins and disappointments your relationship has experienced. Look past the tough days, the disagreements and the frustration you have encountered. Keep in mind that you are a sinner and you married a sinner, so mistakes and disappointments are a part of life. "Above all, love each other deeply, because love covers a multitude of sin." Love does cover all. It always has. It covers all sin -- every disappointment, mistake, failure, disagreement, and frustration -- if we choose to walk in love, both in our marriage and outside of it -- those things are only temporary and we can learn and grow from them, but the most important lesson we should gain from those experiences is to learn how to love. Remember that Jesus, the ultimate example of love, never, ever lost. He was perfect, triumphant, and victorious in everything He did with every person He met. Why? Because He did everything in love. Let that be a lesson to us all. Love never loses. It never has and it never will. In March I will be featuring my favorite children's books for Learning the Alphabet in my monthly "Lit List" series, but I wanted to share a few of our favorite alphabet items on the blog today! I love words and language -- I fell in love with letters and words as a very young girl. I grew up living with my grandparents from birth and my Grandma Bea taught me how to play Scrabble at a very young age -- a game that has been passed down through 4 generations in my family (the same board & everything!). I even have a scrabble tattoo (more on that later). In Elementary school, I was the girl who loved spelling tests and spelling bees, who practiced spelling words out loud in my free time and who doodled random words on all my scratch paper. I looked forward to writing stories and poems and learning new words and meanings, always expanding my vocabulary. In middle school and high school, I enjoyed taking advanced reading and writing classes as well as 4 years of Spanish; I traveled to Spain and loved being immersed in a world where the language was different from what I had grown to know my whole life. I continued my love affair with language throughout college, enjoying writing lengthy papers and taking classes to achieve a minor in Spanish. My favorite games are always word games -- Scrabble, Scattergories, Boggle & more. I could read & write and dream of words 24-7 if I had the time. So, you can see why teaching Olivia her letters at a young age is not only important, but very special to me. Below are my 3 favorite alphabet items to teach your little their letters. Finding unique ways to teach Olivia her letters is what brings me so much joy. Instead of just reading her a simple book with A-Z, I went on the hunt for the most fun and eye-catching alphabet items. In all that I've come across and had experience with, these 3 are definitely the best of the bunch. Aa // "Alligator flying in an air balloon playing the accordion with an albatross & an alarm clock"
Bb // "Bear playing the banjo on a stack of books with a blackbird & a bat"
Cc // "Cowboy on a cow dangling a carrot with a cat & a cupcake"
We giggle over the silly pictures and descriptions. There is so much to look at on every card that it never gets boring -- for her or for me. Not only are these great for learning letters, but they would be lovely hung from a thin string or wire line in a nursery with clothespins or framed and made into a gallery wall for a playroom. I am obsessed with these beautiful works of art. The fact that Olivia is learning her letters is a bonus. I picked this up from a local giftshop I used to work at last year. I love how sturdy the book is and how creative each page is. As she gets older, Olivia can look at the page, say the letter out loud and then guess what item matches, for example "I" for icecream. The colors are bright and bold and the pictures are clean and crisp. Definitely a book that is different than most and one worth having on hand. These were a gift to Olivia from my mom & dad (Grandma & Grandpa) when she turned 6 months old. They are simply illustrated and honestly, it's hard not to buy something when her name is right on the front. They have a lot of empty white space, which is nice that they won't overwhelm a baby's eyes. They will be perfect when Olivia starts understanding how letters sound and the words they form. I know we'll continue to have a lot of fun playing with these in the future. 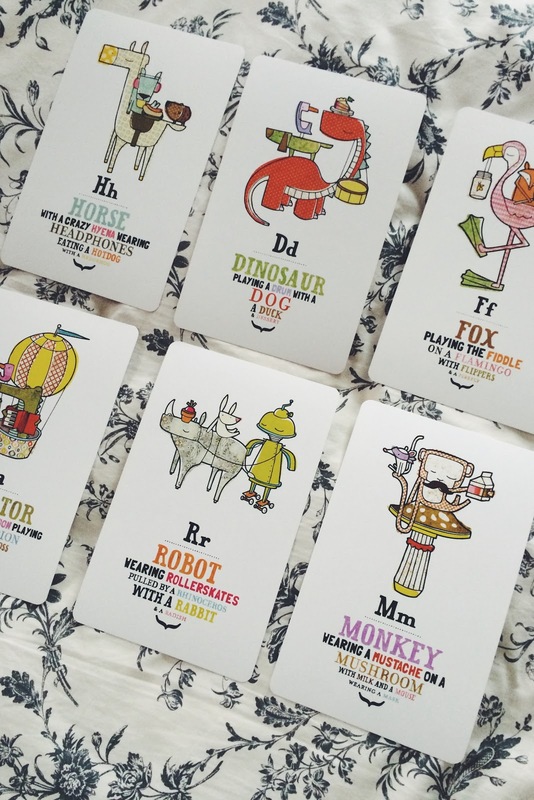 Some other sets of alphabet cards & items that have caught my eye can be found here, here, & here. 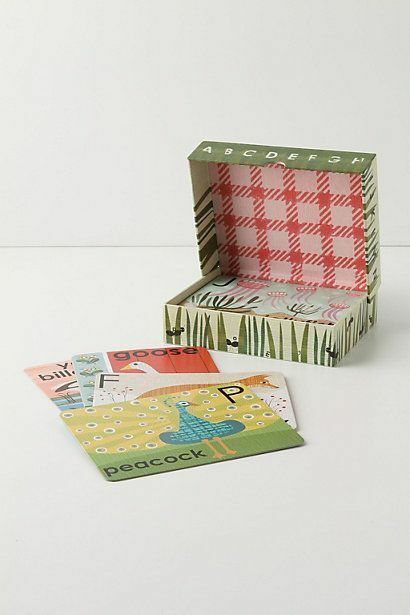 And I can't wait to get these from Anthropologie for Olivia's 1st Birthday. What are your favorite ways to teach letters and the alphabet to your babes? 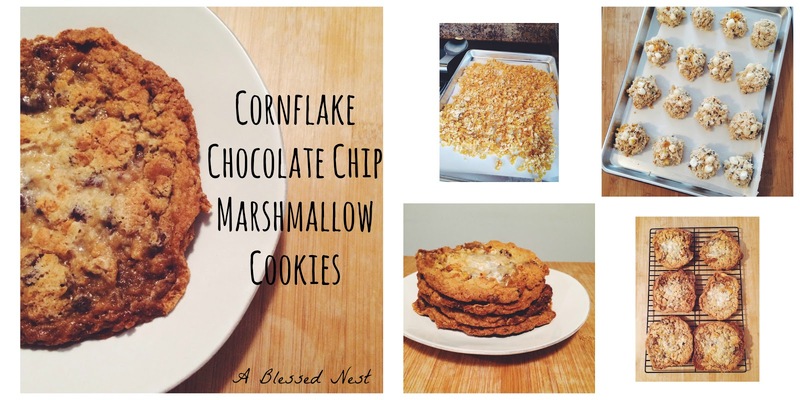 I came across the recipe for Momosuku's cornflake chocolate chip marshmallow cookies over a year ago on Pinterest. Naturally, the picture looked so good that I had to pin them. Problem was, I never got around to making them because every time I looked at the recipe and the components, I hesitated, thinking it would be too complicated. But today was the day & I couldn't wait any longer. They are a remake of the famous Cornflake Marshmallow cookies from Momosuku's Milk Bar -- a famous NYC bakery. I've never been to NYC but if this cookie is any indication of how wonderful (& delicious) a trip that would be, sign me up! 2. In a medium bowl, use hands to crush corn flakes to about one quarter of their original size. 3. Add powdered milk, sugar, salt and toss lightly. 4. Add melted butter and toss to coat; the butter will act as glue to form small clusters. 6. They are done when toasted, buttery and crunch slightly when bitten. Cool completely before using in the cookie recipe. 2. Bake about 17-18 minutes, until browned around the edges and beginning to brown in the center. Cookies will puff, crackle and spread. 3. 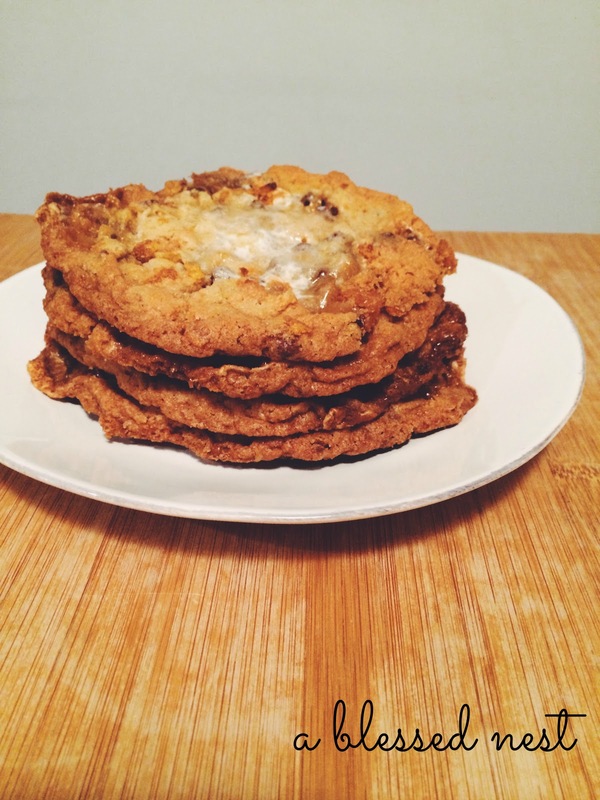 Cool cookies completely on pan before moving them to a plate or in airtight container. At room temperature, cookies will keep fresh for 5 days. These may seem like a little bit of extra work but I promise you, they are worth every step! Be sure to follow directions to a T as to be sure they turn out correctly. And don't forget to sneak one off the baking sheet while they're still warm!